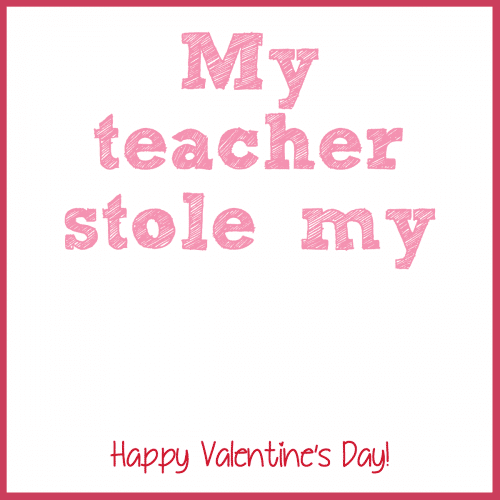 I love showing appreciation to teachers on Valentine’s Day, because usually the kids get all the glory. Let’s not mention how Valentine’s Day should be about love between adults but whatever. 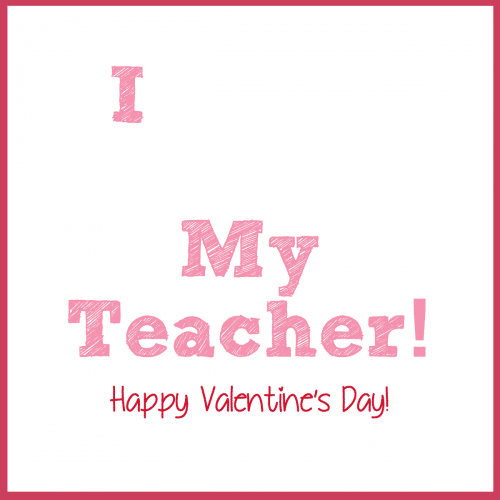 The teachers deserve some love too! My daughter, obviously, is in elementary school. I’m not sure if I’d do this same printable if she was in, say, 9th grade. I guess I’ll figure that out when I get there! These aren’t the exact printables I’m using on Thursday, but they follow along the same track. You really need hardly anything to make these, they are super simple! Ingredients: cardstock, a printer, double stick tape, and heart shaped wrapped candies. I used Hershey’s heart candies for these. I wanted to get Palmer’s (hellooo I’m on a budget) but can you believe Walmart doesn’t carry Palmer’s chocolate? Anyway, Hershey’s, Dove, Reese’s, or Palmer’s would fit on these. The links are formatted for a regular 8 1/2 x 11 piece of paper, just print and cut! You can also buy reams of cardstock at Walmart, did you know that? It’s in the paper section, not the scrapbooking section. This post may be linked to: Chef in Training, Lil’ Luna, Buns In My Oven, Chic-and-Crafty, I’m Lovin’ it Fridays, Strut your Stuff Saturday, Weekend Wrap Up Party, Sundae Scoop Link Party, and all of these too! You saved me a job Dorothy. That’s just what I was looking for. Thank you! These are awesome! And, I’m glad we could be inspirational 😀 Thanks for the shout out! Perfect and it’s so simple! Thanks for sharing! Adorable!! Also? The 99-cent store has those Palmer’s hearts! Go get ’em before everyone else uses them for their gorgeous Valentines! Thanks so much Dorothy – and I can only imagine the teachers must be spoiled ROTTEN by you! I knew I’d seen them somewhere recently! I just couldn’t believe Walmart didn’t have them. Shoot, they have them at the grocery store too! 🙂 Thanks Kelly! So completely adorable! 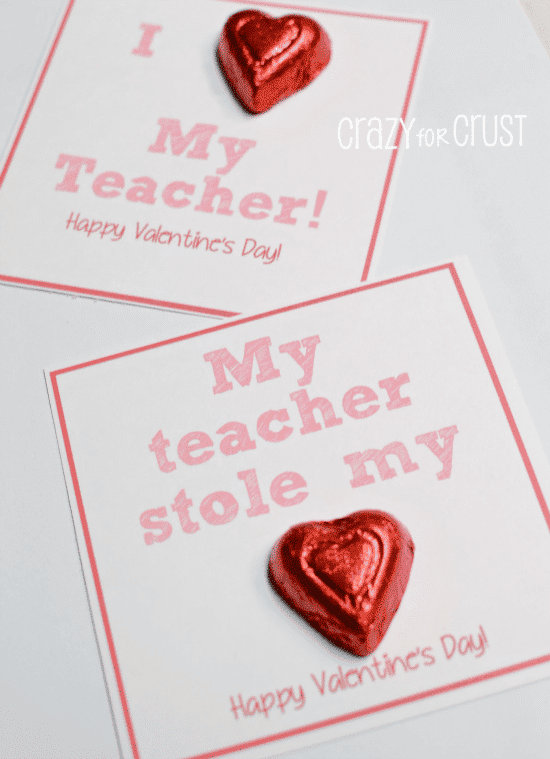 I heart these creative Valentines! what is the font used in this printable sheet? Thanks.